The TLR-1 HL provides a 630 lumen blast of light for maximum illumination while clearing a room or searching an alley. 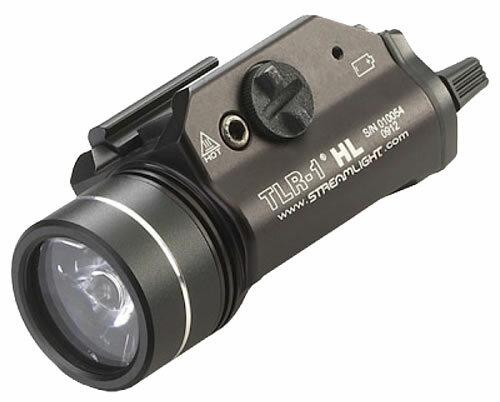 This rail-mounted, tactical C4 LED light with a strobe setting has an ambidextrous switch for momemtary or steady LED ooperation, and a double tap activates the strobe (which can be disabled). It weapon light mounts directly to Picatinny and Glock-style rails, and includes rail locating keys for Glock-style, Picatinny, Beretta 90two, S&W 99 and S&W TSW. The TLR-1 is made with impact-resistant, sealed construction and is IPX4 water-resistant. 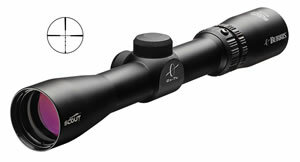 The light housing is 6000 Series machined aircraft aluminum with a black anodized finish, with a chemically-resistant engineering polymer laser housing and a Borofloat glass lens. Each one is assembled in the USA.